The trusted name in mortgage lending. The guiding principal of my business is very simple: Make it easy for the customer. When I am the customer, I appreciate ease and convenience, so building your experience around that philosophy is my commitment to you. That commitment also means you will receive value, clear communication and the best results. With mortgage lending experience since 1998, I continue to adapt, grow and refine my business around the customer experience. My commitment to service is why top real estate professionals, business contacts and clients entrust their referrals to the Tolliver Team. My commitment to service is why an independent survey of home buyers in Central Indiana recognized me as a FIVE STAR Mortgage Professional in 2011 - 2018, making me one of few mortgage professionals recognized every single year the award has been published in the greater-Indy market. "Jae is the first person I think of whenever I have a question about anything to do with the mortgage process. He is always quick to respond with an answer and takes the time to explain changes in policy whenever they occur. I have sent him referrals, all of whom he has helped with professionalism, even if they weren't qualified. He kept me in the loop as an agent and made me aware of where my clients stood. Most recently, he has helped my husband and I go through the process of buying our new home. He has had the heart of a teacher and really listened to our concerns and led us in the right direction. He has great communication and great follow-up. I have the unique position of being on both sides with Jae, as a client and a colleague. It is a great experience either way and I will continue to recommend him to my clients in the future!" "Jae was great to work with. He was patient & understanding with all my 1st time home buyers questions & issues. Very helpful & available any time we needed him. 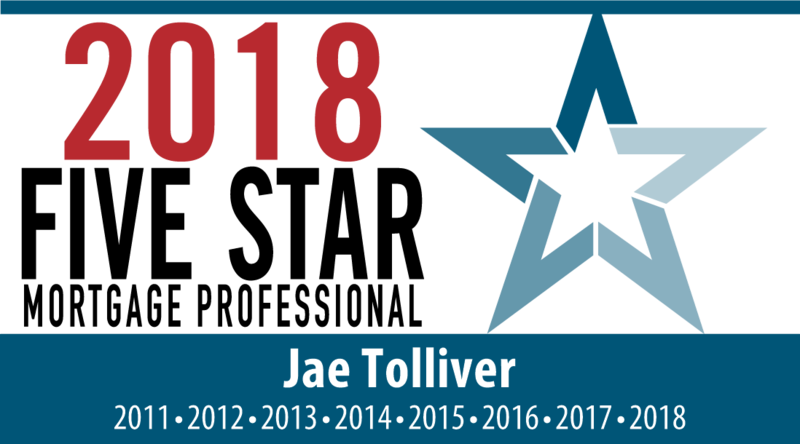 more "
"We first worked with Jae on purchasing our first home in 2014, he was extremely professional and helpful in explaining everything to us. We were new to this and needed a little help and had a TON of questions. He answered all of them honestly and QUICKLY. He gave us options and let us know what would work best for us. We are now using him again for our new home and he has been just as helpful as the first time. He is great to work with! more "
"I worked with Jae when I bought a new house in August 2017. He was extremely professional and was also quick to respond to my many questions. He even put together a document for me on short notice on a weekend. He is very knowledgeable about the interest rate markets and why they go up and down. more "